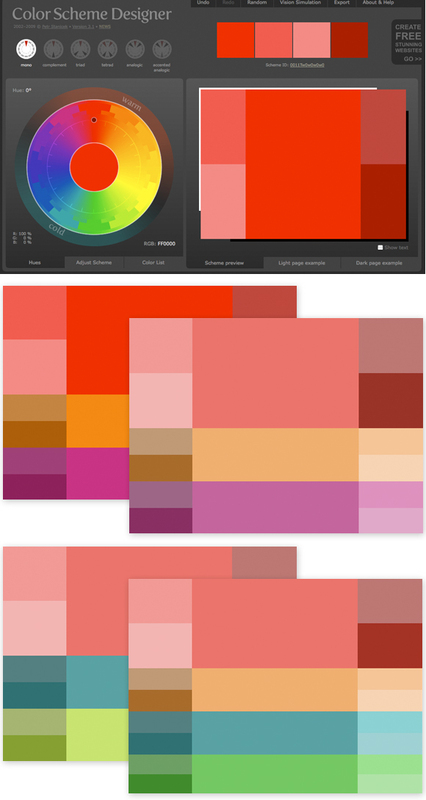 Bijou Lovely: lovely inspiration: color scheme designer. OMG I am in LOVE with the color scheme designer! I just played with it for like an hour! Thanks! Oh, I could spend hours playing around with this tool :) Very fun!! !